Welcome Home.......Well, for the next week anyhow! 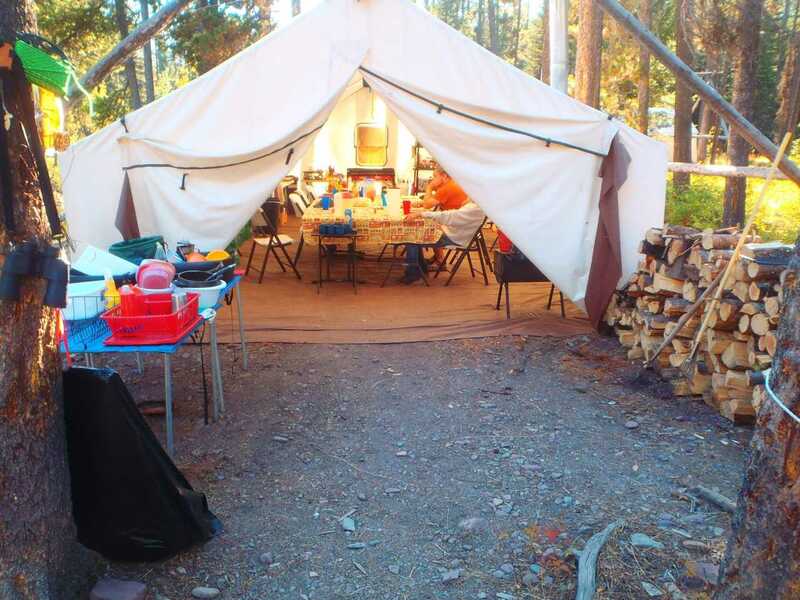 Our Big Slide Camp is nestled in the heart of the Bob Marshall Wilderness. You will reach this slice of heaven after a beautiful 20 mile (7 hour) horseback ride into elk country. You will find multiple wall tents for sleeping that will be fit with lanterns, wood stoves, and cots with sleeping pads to help you stay comfortable and warm while here. 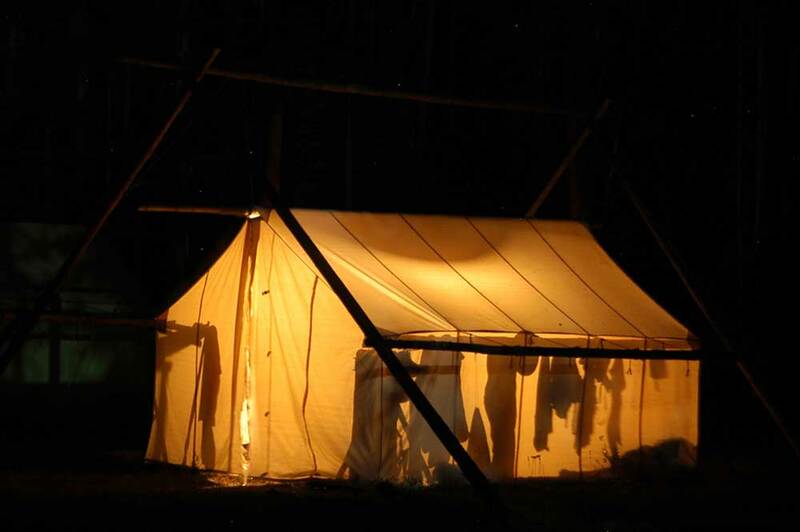 Our large cook tent will be staffed by our full time cook with plenty of room to feed everyone and elbow room to spare. Meals will be served family style where you will find hearty portions complete with dessert to keep you energized while on your trip. You will also find a shower tent to help you reftesh after a long day of hunting that you can use every night if you desire.